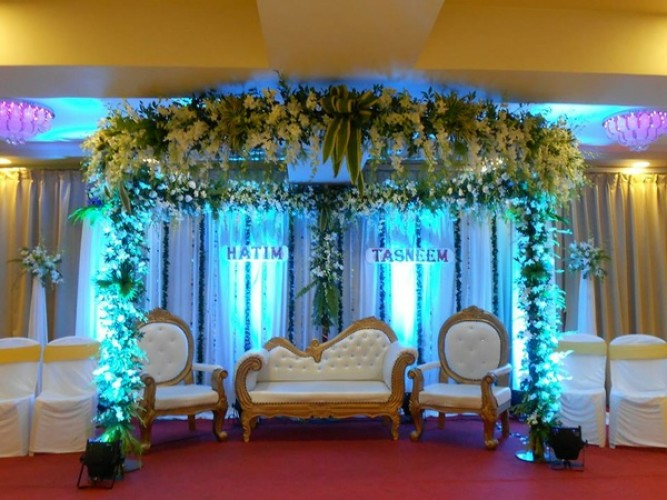 Whether you are planning to have an intimate wedding or an exorbitant one, Meera Banquets will surely match your unique choice, budget, and requirements. With a capacity of accommodating up to 400 in seating and 800 in floating, the venue has a cosy and comfortable interior for the guests. It also offers an in-house team of caterers that puts all the efforts to delight the guests with mouth watering multi-cuisine dishes. If you are looking for a sumptuous hall to host a pre-wedding or large scale wedding function, you won’t be disappointed with Meera Banquets, Bhayander East, Mumbai. The venue serves a wide range of tasty delicacies to choose from in both vegetarian and non-vegetarian food to your guests. Mira Banquet Hall gives you the freedom to get your own caterer from outside to serve your favourite cuisines to your guests. The decor team takes care of the decoration for your big day. Meera Banquet Hall Bhayander offers valet car parking service to their guests for their convenience. The hall has minimal yet efficient interiors and also provides its customers with excellent services in terms of food, decor and entertainment. Meera Banquets, Bhayander East, Mumbai offers complimentary changing rooms for the bride and the groom on their special day.